This is a superb collector's stone. This is a fantastic deep cognac color gem with a "Trillion" cut. 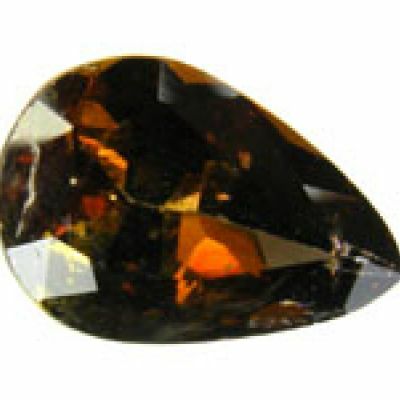 Axinite rarely forms in crystals that are gemmy or thick enough for faceting. 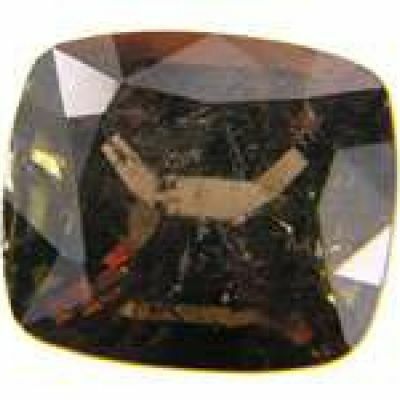 It is indeed a very rare gem considering that rough is extremely difficult to find not to mention that the area which produced this material is now closed and there is no other source for these crystals in the world. 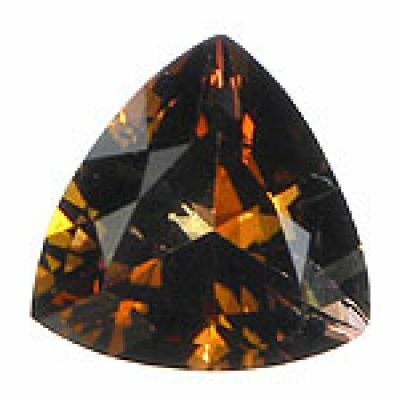 To find a gem over 1 carat, let alone 3 carats(!) is very impressive. 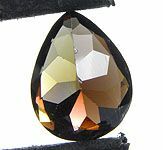 It is difficult to find this material in clean stones, so inclusions are accepted by most collectors and dealers. This is a great, saturated, very slightly included trichroic gemstone and it does a slight change color when rotated in different directions. 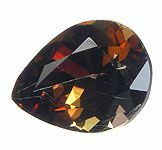 Axinite is actually hard enough that it can be worn in jewelry, though it is a bit brittle.